John Morton Burke aged 96 of Sault Ste. Marie died peacefully at the Sault Area Hospital on Sunday, November 10, 2013. John was born in Sault Ste. Marie in August of 1917 to Bertha and Morton Burke and grew up in the Sault with his brothers Bill, Boyd and Harry, and his sisters, Mabel, Peggy and Helen. 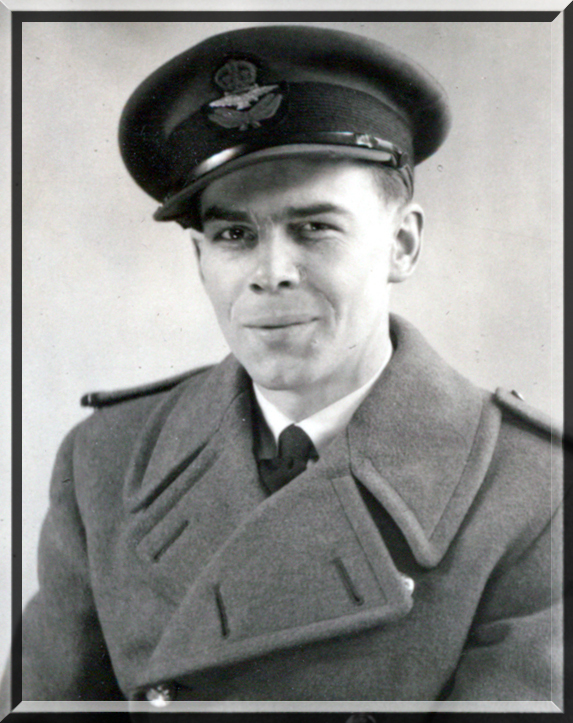 In 1941, John enlisted in the Royal Canadian Air Force and trained as an Observer/Navigator. Rising to the rank of Flight Lieutenant, John served two tours of duty, flying with two squadrons and participating in most of the major campaigns of the war. John survived 3 crash-landings, was wounded over Sicily and was awarded the Distinguished Flying Cross in 1944. After the war, John joined the Canadian Forest Service where he worked until retirement. While he worked diagnosing insect diseases, John also found time to attend classes at Algoma University graduating at the age of 65 with a Bachelor of Arts in Economics. John was interested, as well, in tree-farming (with his brother and very good friend Harry), gardening, skiing and the arts. John is survived by his wife and best friend, Jean, his sons Gordon and Kenneth (Richard) and his granddaughter Anna. He was immensely proud also of his granddaughter, Sarah (deceased) who was a world champion freestyle skier. The family would especially like to thank Kathy Palombi and the nurses at the SAH, especially Diane, for their wonderful care, and all of the friends who have been a part of John's life. At John's request, the family will hold a small private funeral at this time. A celebration of John's life will follow in the new year. Donations may be made to the charity of your choice or simply do a good deed for someone and think of John. Arrangements entrusted to the Arthur Funeral Home & Cremation Centre705-759-2522. Expressions of sympathy may be offered atwww.arthurfuneralhome.com .